Michael has been fishing since he was born with fishing running deep through his veins. Considering both his father (Paul) and his grandfather were fishermen all their lives it is of little surprise that this would become Michael’s favourite hobby and now his job. Michael has won numerous fishing tournaments as a junior in local competitions, as well as regional fishing club competitions. 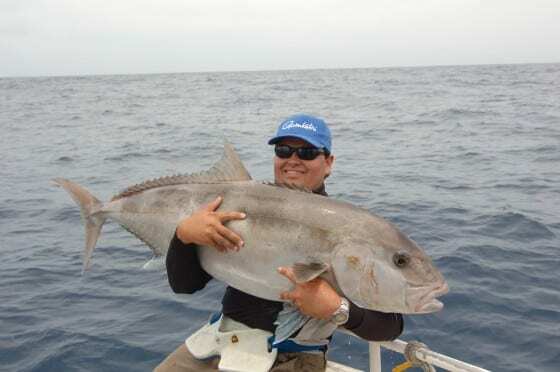 His favourite form of fishing is offshore Snapper fishing but he also loves to get out and chase some mackerel or just about anything that swims and could be landed. After going to Uni he transferred from mainly bait fishing to trying some lure fishing and this quickly became his go to style of catching fish. 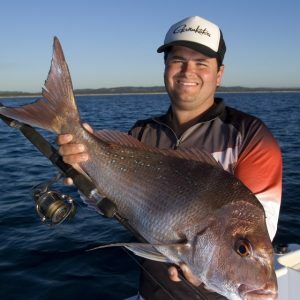 After establishing a career in Sydney, he had the opportunity to become a director of Frogleys Offshore and since then he has had the chance to watch, learn and get back into Bream Tournament fishing. 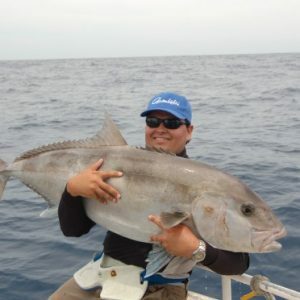 This has allowed him to learn more about lure fishing in general, putting him in a unique position to use that knowledge to find gaps in the market, and to design and release new products for Australian fishermen. Recently Michael has continued his Tournament success with wins in the Qld Open and Australian Megabucks Bream tournaments as well as consistent results in other events. With a very understanding wife, his 2 kids have already started with his eldest daughter catching her first solo fish at 3 years old. 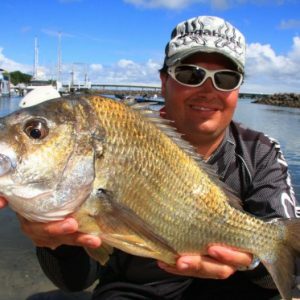 Michael’s favourite form of fishing now is surface and shallow flats fishing for bream, mainly in tournaments using the Megabass Dog-X as well as the Atomic Cranks. 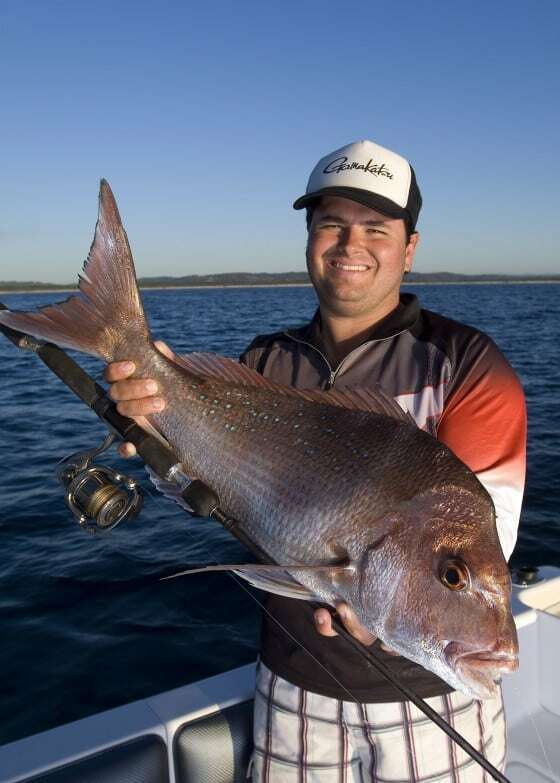 His favourite species to catch socially are still old man snapper on lures, with preference to using hard bodies. The Megabass Vibrations and the Atomic Semi-Hardz are his lures of choice and several national magazines have published stories using Michael’s knowledge on this relatively new concept of using hardbodied sinking lures in a style similar to fishing with plastics. 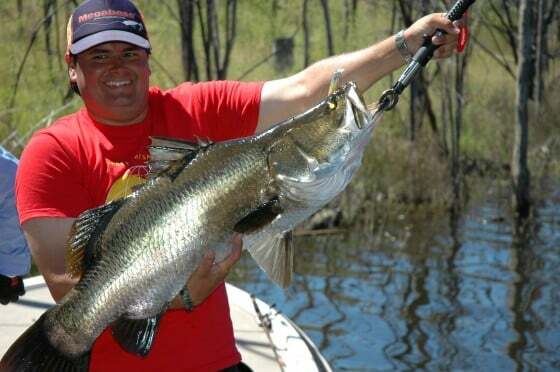 Michael, with help from the Frogleys Offshore staff and Pro Anglers, has designed and released multiple new products including Rods from the Samurai range (which were designed from scratch by and for Australian Anglers), Atomic Seekerz Jig heads, various lures and the unique Semi-Hardz. 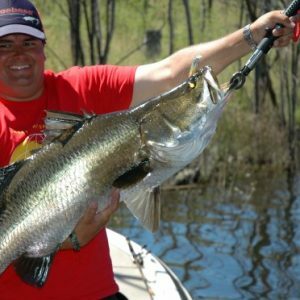 Watch our for more products being released in the Atomic and Samurai range of products which will continue to assist and improve Australian anglers catch rates. Click on images below to see full sized photos.